Her flexibility and versatility allow her to maintain a sense of humour under pressure. Born and bred in Akure, Ondo State, Nigeria, Olaide .O. Ekunsumi received her B.A. from Ekiti State University, her M.A. from the University of Ibadan, and is currently completing work toward her doctorate degree in the University of Ibadan, Oyo State, Nigeria. 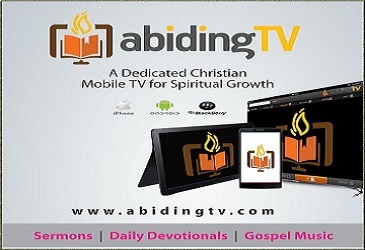 Christian by birth, the thirty-eight-year-old lives at 1 Arigidi Street, Bodija Estate, Ibadan, Nigeria. She holds a Bachelor of Arts degree in English and Literary Studies and Master of Arts degree in Linguistics. She is a versatile, personable and motivated professional, a dynamic thinker, who is able to turn ideas into reality. With a wealth of experience garnered for over eight years from editing, proofreading and publishing, she is able to work optimally on various types of manuscripts, with poise and competence. Being an experienced editor and proofreader, she is able to work with professionals and non-professionals at all levels. Her flexibility and versatility allow her to maintain a sense of humour under pressure. As an editor with a keen eye for detail, her skills include in-depth editing, publishing, proofreading, general office skills, administrative skills, teaching, and editing academic papers. In the course of her profession, she has mastered the art of preparing complex academic papers for presentation, authored professional correspondence to customers and vendors, designed and delivered series of classes in editing and publishing. It is worth mentioning that she rapidly learns and masters varied computer programmes. Adept at developing and implementing strategic editing skills for business, she is very familiar with various style guides, i.e., the Chicago Manual Style, APA, MLA, Oxford, ASA and Bluebook. She also works with topic areas with specific style guides. In the course of her career as Senior Editor with BookBuilders Editions Africa, a publishing firm renowned for its excellent publishing and editorial services, she assisted in the publication of various journals, fiction and non-fiction books, as well as autobiographies. Some of them are: Science Interrogating Belief by David T. Okpako; The Hausa Ancient, Traditional Number System by Olu Longe; Cat Man Dew and Other Poems by Mark Nwagwu; Mammy Water’s Wedding by Bode Sowande; The Pregnant Woman by Gbemisola Daramola; HelenaVenus by Mark Nwagwu; Historical Landmarks in Medicine by O. Ajao et al; Footprints by James Zasha; Abuja na Kpangba an Oda Puem dem by Eriata Oribhabor; It Was the Best of Times by Adetokunbo Lucas; Kpeha’s Song: Ethics and Culture in Urhobo Udje Poetry by David Okpako. 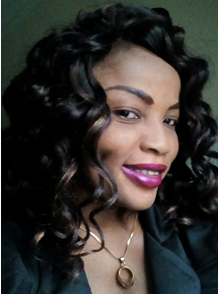 Having worked as a language instructor at Government College, Kutigi, Niger State and Zion International College in Akure, Ondo State, she is an excellent instructor with the ability to make complex concepts easily understandable. She is dependable, dedicated and communicates excellently with people.